BMW X3 was the one that started all this premium crossover compact shuffle if we omit the fact that Lexus RX beginning of the story was restricted on compact figures until its growth and relocation to mid-size segment. Anyway, X3 pulled decent sale numbers from the beginning, but decent wasn’t enough. Both Beemer and Merc trailed a bit behind Audi’s Q5 in Europe’s annual figures in recent times, and Volvo made a sales boom last year with the nine-year-old model. That dated vehicle has just been replaced by brand new one, for which nobody denies bright future, and Stuttgart move in replacing GLK with sleeker GLC proved as a sales booster. New things like Jaguar F-Pace and upcoming Infiniti QX50 have to steal somebody’s buyers, while Munich will try to keep his own and catch a couple of fresh ones with new 2018 BMW X3. 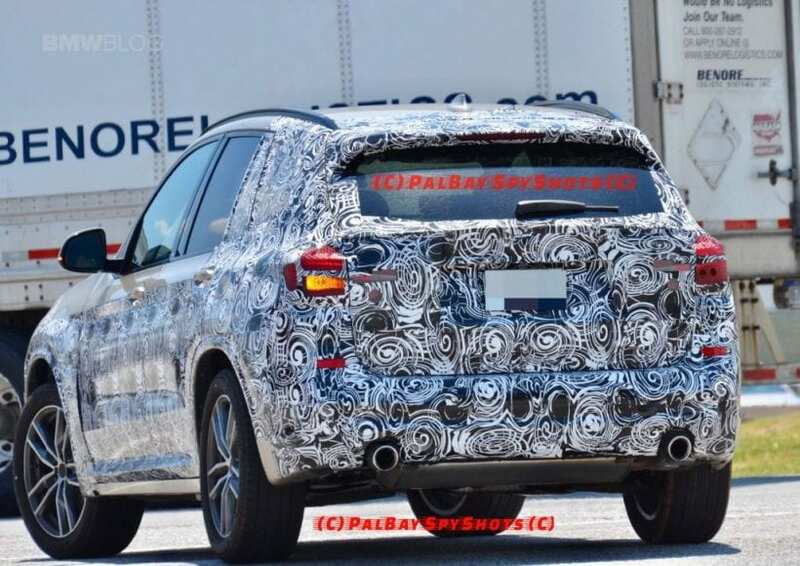 Redesigned 2018 BMW X3 should use new rear-wheel drive platform that debuted with latest 5 Series, and the same thing is also going to underpin new 3 Series. For the new crossover that will imply less weight, let’s say between 110 and 220 pounds, and a bit more inches in length, improving cabin space. The brand new thing would also be a plug-in hybrid model, which will bring X3 in line with bigger brother X5 that is offering one. Hybrid should debut year and a half after regular model, which we can expect to reveal itself at the very end of this year. 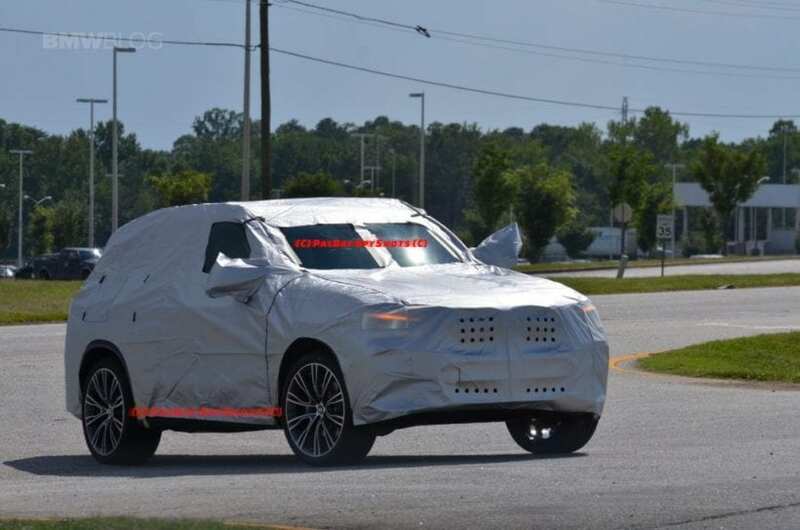 Well, judging by the spy shots, styling is not going to be so much new as it is going to be evolutionary. The grille is becoming bigger leaving the more powerful statement on the road, and head lights are getting more sleeker, as it seems with more resemblance to X5‘s one. Tail lights are well covered, but still, it appears that they are thinner and more elegant in shape. X3 is currently not especially intriguing SUV visually, but it is fairly handsome, so expect the same from the upcoming replacement. Current diesel and petrol offer are probably set for carrying over, which would include 2.0-liter four-cylinders and 3.0-liter inline sixes, though with possibly some moderate boost in power figures. New thing would be hybrid model utilizing turbocharged 2.0-liter I4 with an electric motor, which in the case of 3 Series delivers 252 hp, leaving you expecting the same here. This clearly shows the respect of hierarchy’s order by keeping it bellow X5’s 313 hp. As for gear boxes anticipate no changes, 6-speed manual or ZF’s 8-speed automatic are still on the menu, as well as optional xDrive AWD system. Ah, the main question. Porsche hasn’t been shy to offer Macan Turbo from the beginning, Mercedes just recently went full throttle with AMG GLC63, while Audi turned the page and decided that SQ5 is not enough anymore, with RS Q5 being on the verge of the debut. Thanks to generous work of spy photographers we know that Jag F-Pace SVR is under heavy development and that its arrival with monstrous V8 power is inevitable. 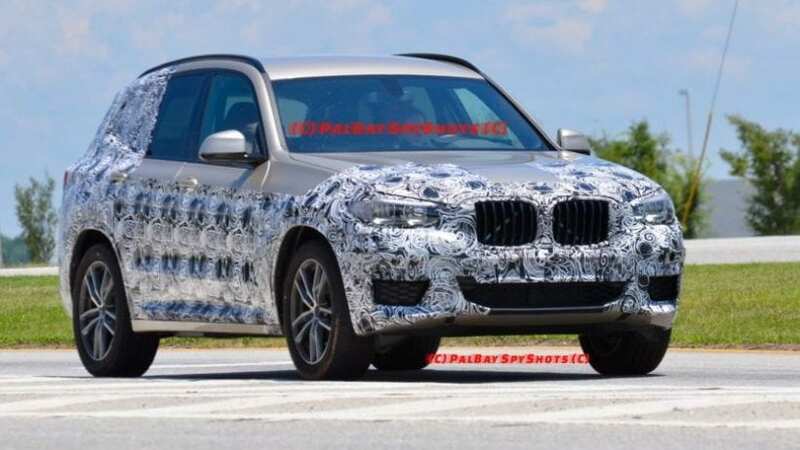 Beemer is finally going to address these things with 2018 BMW X3 dressed in proper M outfit, which hasn’t been done in past two generations. Twin-turbocharged 3.0-liter inline six from M3 is an obvious choice, and things are definitely not going below current 431 hp, keeping in mind what rivals have in mind and leaving us in sweet anticipation of its debut.